Who loves cherries! I DO! 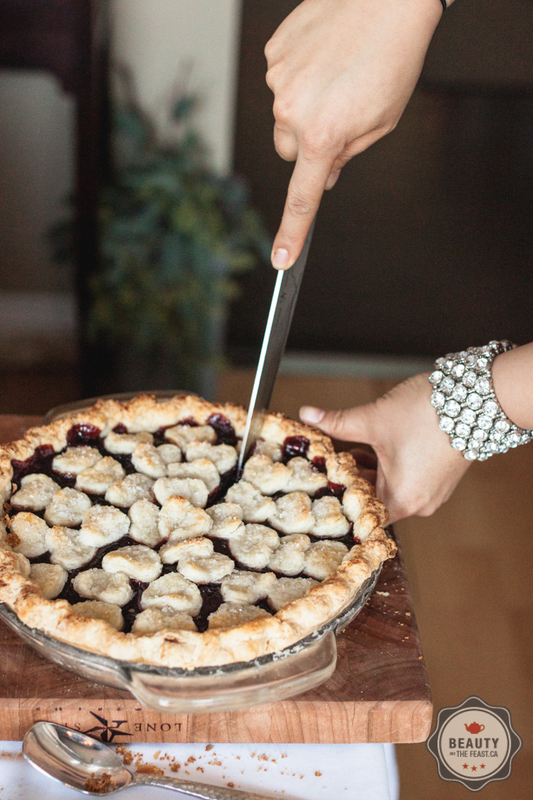 Sour cherry pies are very in vogue but there’s a place for sweet cherries in pies too. This recipe can be made ahead of time and whipped up in a hospitality emergency. Just make and freeze pastry dough ahead and can the cherries. Like you, we've drooled over the beautifully styled shoots featuring vintage decor and mouthwatering pastries. We also realized that between the two of us that "we could do that" (interesting enough, many a Pinterest Fails also begin this way) and so we began scheming. It would be a tea party where each lady would bring a pie to share and after we'd publish an electronic recipe book to commemorate.